The tour I undertook was supposed to be an African Safari as I had planned South Africa and Kenya (for a long time) but unforeseen circumstances at the office made me alter the trip. I had to book tickets for a winter trip foregoing my summer options. There were a number of exclusions from the summer trip like Lord’s visit at London, Tulip Garden at Amsterdam etc. Hence with a broken heart, I boarded the Emirates flight to London via Dubai on the 11th October 2017 from Kolkata. The journey to Dubai, however, was made lively and light as I met an old senior pal from school, Arup who has married a French National and settled in Paris. How we spent the 5 hours in Dubai we could hardly realize. Time flew like a whistle. After bidding goodbye to Arup at DXB, I boarded the connecting flight to London – the long 7 1/2 hour flight to Heathrow. It was a long tiring flight and I could manage some sleep although I must admit I don’t sleep well in flights. Unlike other TC tours, I had thought that I will have accompanying fellow passengers from Dubai but alas !!! I was the only one in London. On the 12th morning at around 7.35 local time I landed in Heathrow and was greeted very warmly by our tour manager Kedar Kulkarni. The self-effacing low profile Kedar Kulkarni was a high point of the tour … I came to know that I was the first to land and that other tour members were from different parts of India mostly South and would land throughout the day. 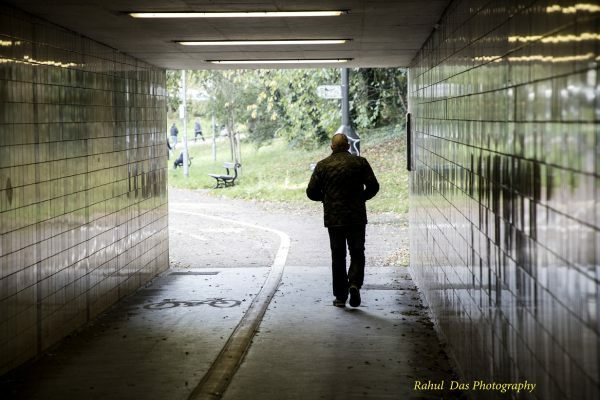 I was taken in a local coach to the hotel which was about 1 1/2 hours from the airport – northern London. I retired to the comforts of my room while Kedar went back to the airport to receive the other passengers. I rested for a while and then took a walk around the hotel to adjust myself towards what they call one of the most beautiful cities in the world – London. They say when you are alone on an overseas tour the best is to have a walk around to have a feel and I was no exception. Although our hotel was a little on the suburbs side still the smell and sight were awesome – far more captivating than a lot of cities I have traveled so far. Below is one such example of the first sight of London. Our sightseeing began on the 13th – an unlucky date but not unlucky at all for us. We were a bunch of expecting people in London. 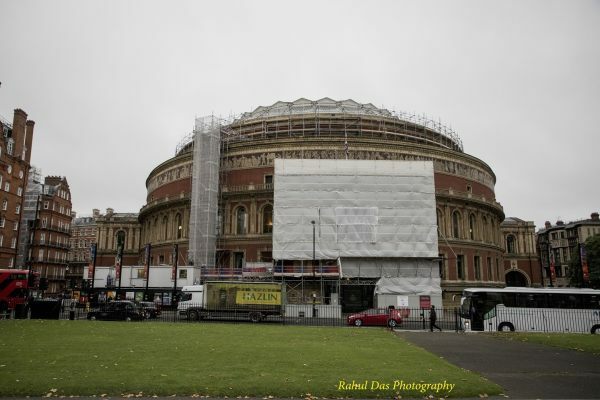 The day started with Albert Hall – one of the most prestigious heritage of London and Europe. Set in the northern edge of South Kensington, London it holds some of the major concerts of Europe and London and has a capacity of 5000 odd seats. Inaugurated on March 29, 1871, this hall has seen some of the world’s leading artists performing here. Our next stoppage was Buckingham Palace. The stoppage gained more importance as Queen was resting there as she was expecting some guests from overseas. 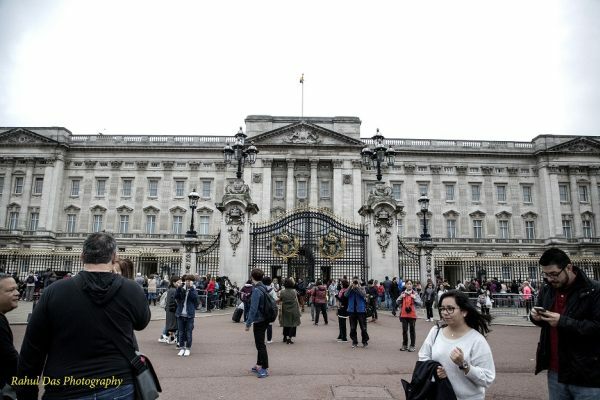 The palace is the London residence and administrative HQ of the reigning monarch of UK. Located in the city of West Minster, the palace is often at the center of state occasions and royal hospitality. Originally known as the Buckingham House the building at the core of today’s palace was a large township built for Duke of Buckingham in 1703 for a site that had been in private ownership for at least 150 years. Our next few stops on day 1 were – Parliament Square /Big Ben, London Bridge and Tower Bridge, Madam Tussaud’s, London Eye and finally Victoria Street for shopping. To cover all this in this blog is not only impossible but would add to the boredom !! All I can say is that when we returned dead tired to the hotel we felt we should have stayed back in London for at least 5 days. 14th was the day when we moved out of England to France. 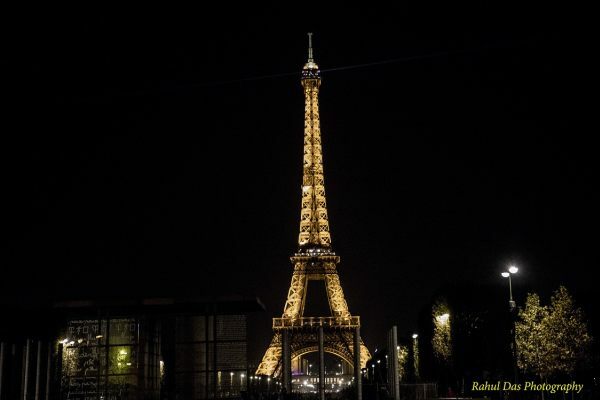 The day started at 6.30 am in morning and ended at 10 pm at Paris. The route was quite long – by coach to Dover Port, then ferry to Calais in France and then by coach to Paris. Inordinate delay at Calais Port led to us reaching Paris really late – at 7 local time we checked in. However, our ever smiling and accommodating guide Kedar lent us a happy reprieve by taking us to the iconic and magical Eiffel Towers where we had a happy photo shoot. One of the most beautiful and historic day awaited us on the 15th. 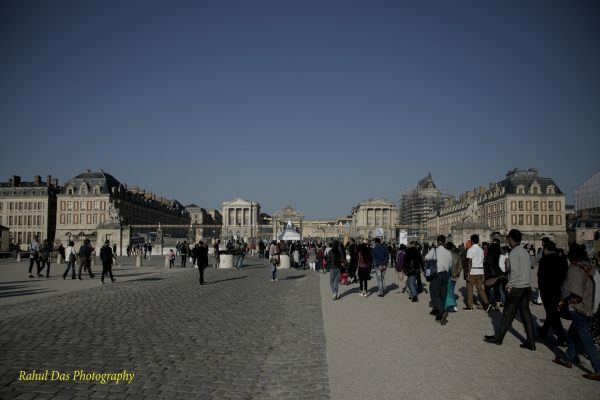 A day tour of Paris comprising – Palace of Versailles, Louvre Museum and Eiffel Tower. Versailles Palace is a royal chateau in Versailles in the Ile-De-France region. It is not only a famous palace but a symbol of absolute monarchy of Ancient Regime. Built-in 1624 by Louis XIII and designed by architect Jacques Lemercier, the edifice was enlarged into a royal palace by Louis XIV. It’s basically the strategic workplace of Louis XIV as well as the resting place of the Queens. It is a magnificent structure and reminds us of the pomp and grandeur of the Queens of those times. A glimpse. 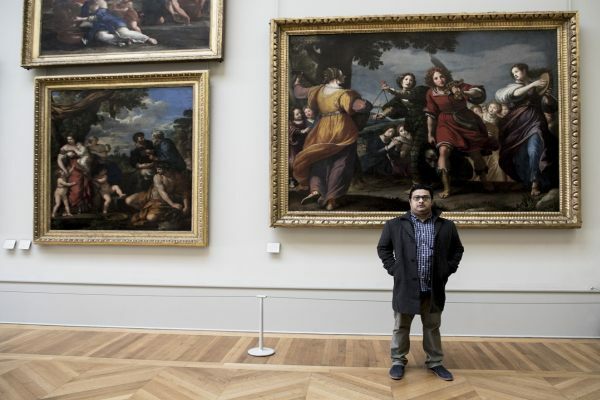 The Louvre is one of the most coveted museums of the world & a great masterpiece. 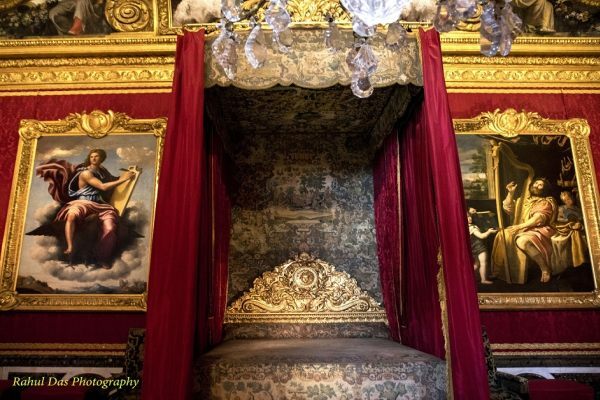 In 1682, Louis XIV chose the Palace of Versailles for his household leaving Louvre primarily as a place to display royal collection. And to add to all the classic paintings and sculptures you add the World Famous Monalisa, what you get is a world-class museum ..To en-capsule, a month’s effort in two hours was like dropping a pebble in the Ocean. Louvre enthralled me with its vast collection. Simply surreal. 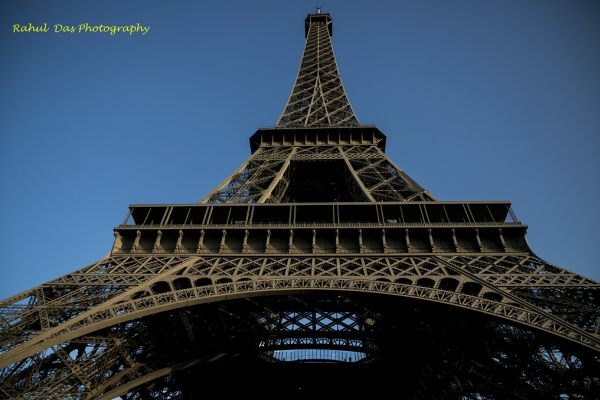 One of the most iconic and glamorous structures of the modern world, the Eiffel Tower is a towering phenomenon. Its an ethereal feeling simply to be at the top. Its the most visited paid monument in the world – 6.91 million people ascended it in 2015. The tower is 324 meters tall, about the same height as an 81 storey building . Its base is square, measuring 125 meters. The tower has 3 levels for visitors with restaurants on first and second levels. An excitement which died because we couldn’t get to level III as there was lots of congestion. 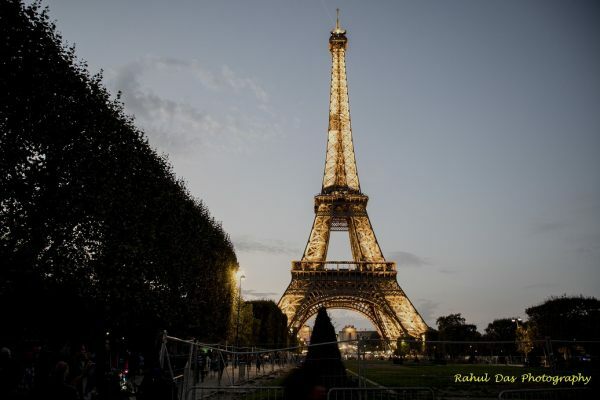 Felt like so near yet so far – travelling all the way to Paris and not being able to reach Eiffel Tower’s top. Came back with the indomitable spirit of travelling once again to Paris. The next three days we moved to Belgium, Netherlands and entered Germany on the 18th .. My next anecdote is of another iconic place in Germany – the Black Forest- the 19th of Oct 2017. 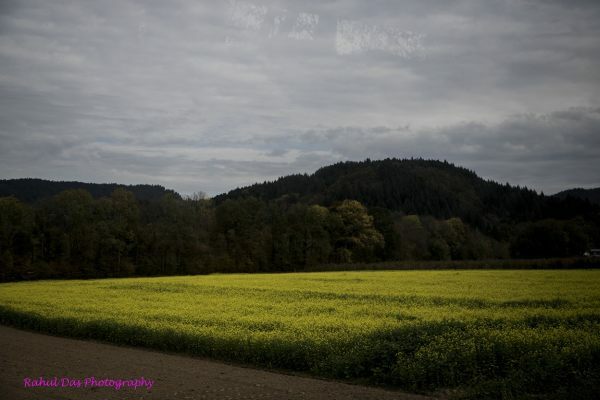 Black Forest – It is a mountainous region in South West Germany bordering France known for its dense evergreen forests and picturesque villages. Often associated with the Brothers Grimmy fairy tales. The ancient mountain range is famous for its legends and the black fur that cover the landscape. 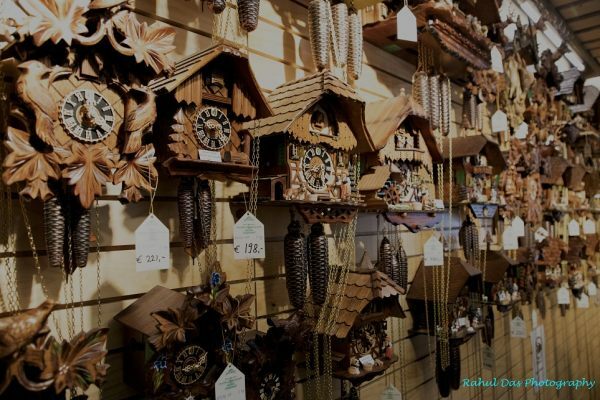 The Cuckoo clock – The region is famous for its cuckoo clocks. What is a cuckoo clock? – It’s a pendulum regulated clock that strikes the hours with a sound like a common cuckoo’s call and has an automated cuckoo bird that moves with each note. The design of the clock is conventional – most are made in the ” traditional style ” also known as ‘carvea’ or ‘ chalet’ to hang on a wall. There are two kinds of movements: one day and eight-day clock works. Some have musical devices and play a tune on a Swiss music box after striking hours and half hours. When the bells rhyme together the symphony it makes calls for wonderful music. 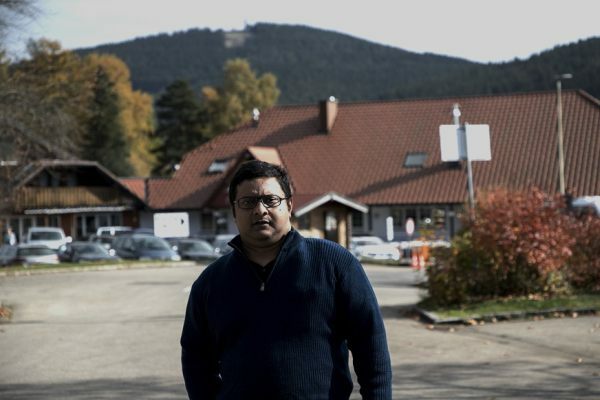 Overall the black forest experience was enthralling more so when we were treated to a special biryani at a local indie restaurant since it was Diwali back home. So much so for nostalgia !! After this, we headed to Schaffhausen Rhine falls which was also a memorable experience. The next three days were a real test for human endurance as we shuttled between the Alps in Switzerland to the different places in Swiss and Austrian territories. One of the toughest and most beautiful days of the tour. From a snowy Austria, we headed for better weather to neighboring Italy which was the last leg of the tour. From Innsbruck to Terminal Fusina – a long but beautiful 4 1/2 hours drive. 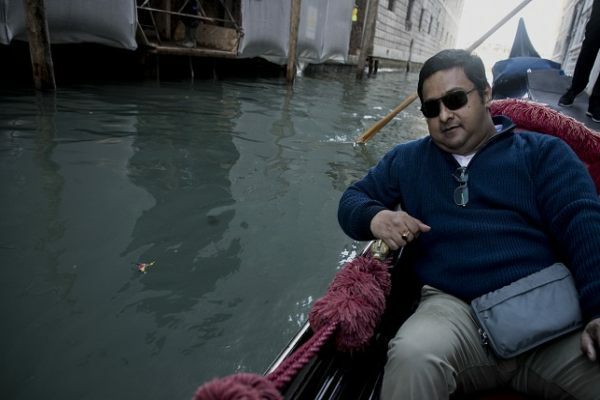 From there we took a private boat to San Marco Square where we were about to witness the famous Venetian Gondola. The Gondola is a traditional flat-bottomed Venetian Rowing boat, well suited to the conditions of Venetian Lagoon. 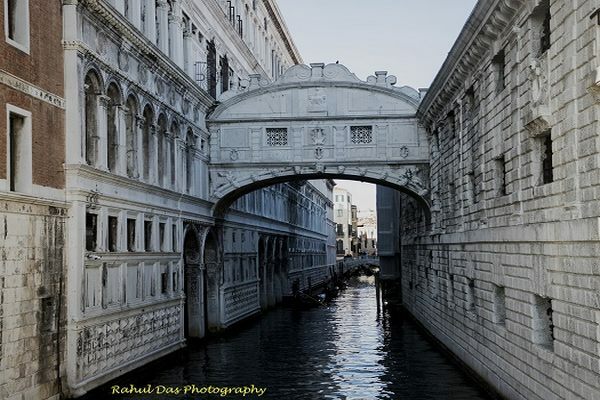 For ages, this has been the chief means of transportation in Venice. The Gondola has found a place in many iconic Hollywood movies especially James Bond. Also some memorable Bollywood movies of the 60’s. 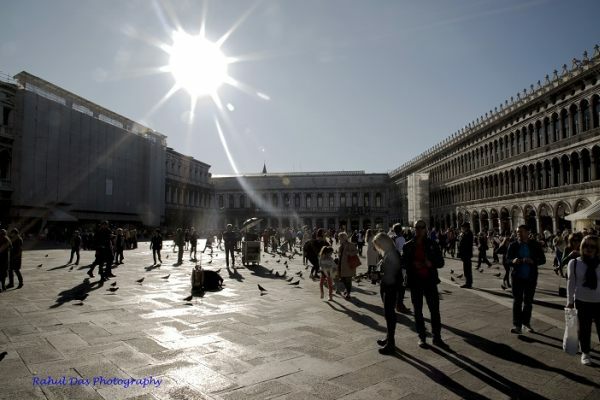 The principal public square of Venice. The Square is dominated at its eastern end by great church of St Mark. Piazzetta Dei Leoncini is an open space on the northern side of the church named after the two marble lions but now officially called the Piazzetta San Giovanni XXIII. The neoclassic building on the east side adjoining the Basilica is the Palazzo Patriarcale, the seat of the Patriarch of Venice. The next day was spent in Florence. Day XIII – Last day at Rome. 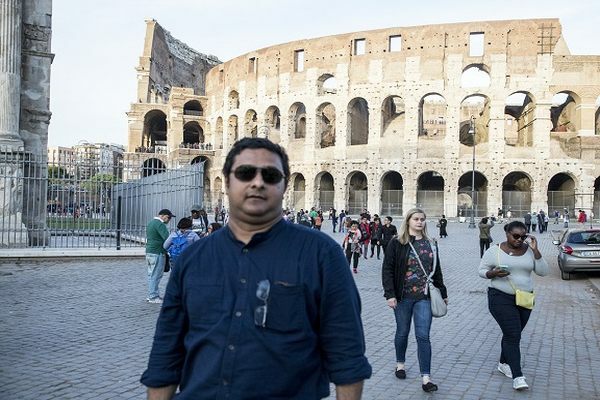 The last day @ Rome was a scintillating journey – dipping into some wonderful memory of a modern civilization steeped in history. Our visit was mainly broken into 3 parts – Victor Emmanuel Monument, The Vatican, and the Colosseum. After a 2/12 hour bus journey from Florence to Rome, we visited the Victor Emmanuel Monument, one of the iconic structures of the capital city. After about an hour and a half, we moved to one of the greatest destinations on earth and a pivotal attraction of the tour, THE VATICAN. Vatican City – officially the Vatican City State – is a country located within the city of Rome. With an area of approx. 44 hectares and a population of 10000 it is the smallest state in the world both in terms of area and population. It is an ecclesiastical monarchical state ruled by Bishop of Rome – the Pope. The highest state functionaries are all Catholic clergy of various national origins. 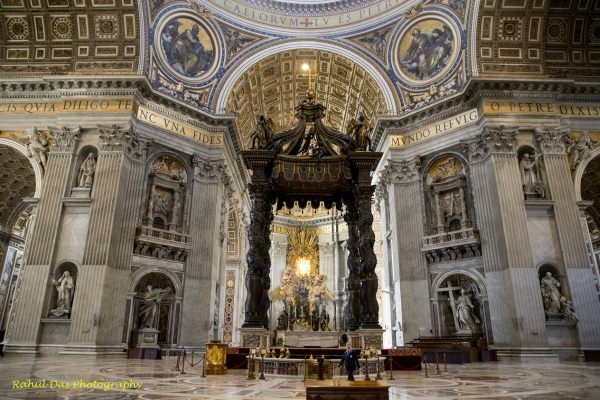 Within Vatican City are the religious St. Peter’s Basilica, the Sistine Chapel & Vatican Museums. 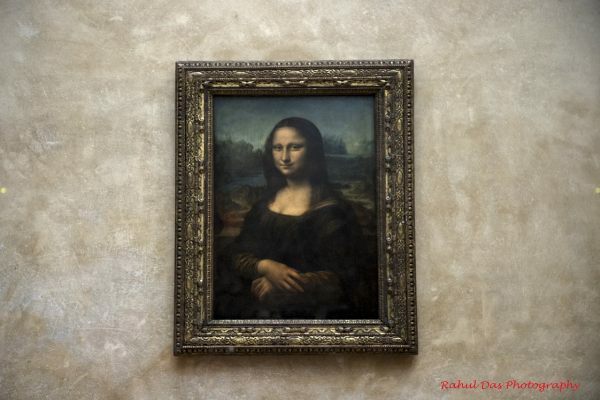 They feature some of the worlds most famous paintings and sculptures. 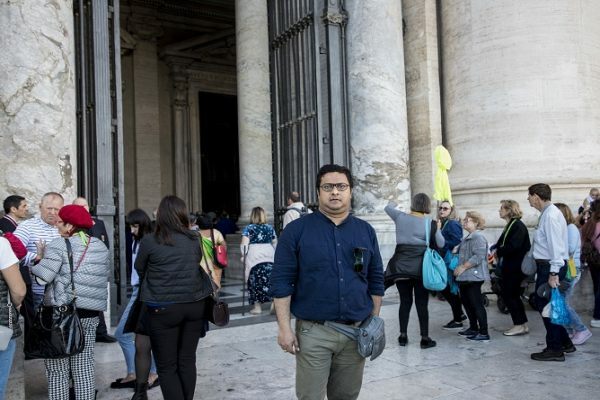 We were handed a local guide expert in Vatican to roam around one of the world’s most sacred places. The next 1 hour was a fascinating journey. After this, we rounded off our memorable trip with the Colosseum which is also one of the 7 wonders of the modern world. As we finished the tour with a heavy heart, it would be unfair if I do not pen a word or two about our wonderful guide – Kedar who never for a moment made us feel away from home in these 16 days. 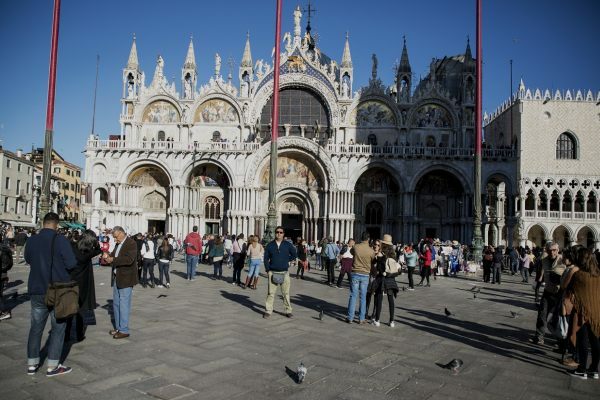 I have undertaken many tours abroad – TC, Cox, and Kings, Make My Trip and many small operators and have traveled extensively and inclusively all over the place in the last one decade but none was as impressive as Kedar. Self-effacing, low profile, always smiling and reassuring Kedar was one of the key points of the tour – whenever we were in trouble, we knew we had Kedar just a shadow away !!! This ones to my friend KK. 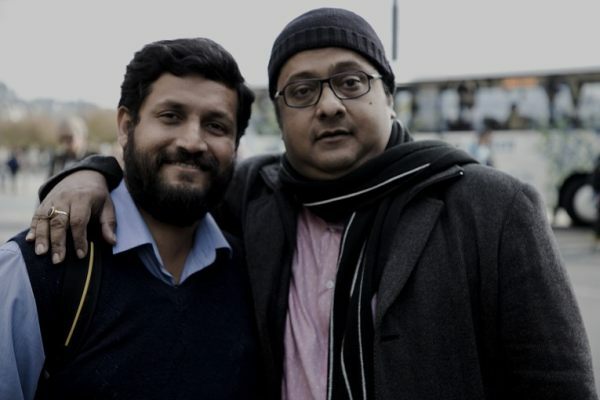 Thanks, TC and Kedar for such a wonderful trip – my best Puja gift so far !!! Those 16 days will be etched in memory … Will travel with TC again some day.